News TV Channel / The Voice of America (VOA) is the official external broadcast institution of the United States federal government. 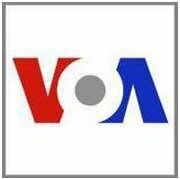 The VOA provides programming for broadcast on radio, TV, and the Internet outside of the U.S., in English and some foreign languages. A 1976 law signed by President Gerald Ford requires the VOA to "serve as a consistently reliable and authoritative source of news. The VOA Charter states: "VOA news will be accurate, objective and comprehensive."